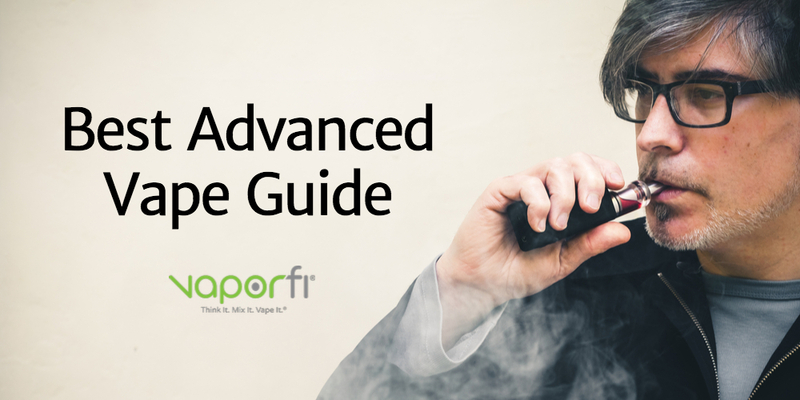 What Exactly is an Advanced Vaper? Once you’ve accumulated some quality vape time under your belt, odds are you’ve figured out exactly what you want in a vape. Whether you’re a cloud chaser, a connoisseur of e-juice flavors, or some combination of the two, claiming advanced vaper status comes with new territory to explore. Because you’ve already worked past the steep learning curve of vaping, now’s the time when you’re able to truly enjoy your perfect vape sessions. Choosing advanced devices and products, then calibrating them to produce your ideal vape, is one of the best parts of vaping, hands down. If there’s one thing everyone at VaporFi has in common, it’s definitely a passion for vaping. Many members of the VaporFi team have clocked serious vape hours, and know a thing or two about what qualifies as great products for advanced vapers. We decided to put together a useful buying guide for all the advanced vapers out there, making it easy to choose new products to upgrade your set-up. 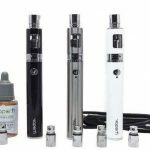 Maybe you’ve been vaping for years or maybe you just mastered vaping right away; whatever the case may be, this guide breaks down everything you need to achieve the ultimate vaping experience. Not sure if you’re ready to award yourself the title of advanced vaper? For some members of the vaping community, there are some less-than-positive feelings surrounding the concept of advanced vaping. For newbie vapers, it can feel intimidating to realize that there are supposed “levels” of vape experience and know-how. 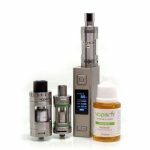 However, earning the distinction of advanced vaper is mainly an indication of how long you’ve been vaping combined with your preferred vape styles. Advanced vapers are simply vapers that have the experience and knowledge to utilize the more complex devices and vape setups on the market. Knowledge is key if you want to use advanced devices safely, and learning how to correctly navigate these products will make a huge difference in how much you enjoy your vape session. 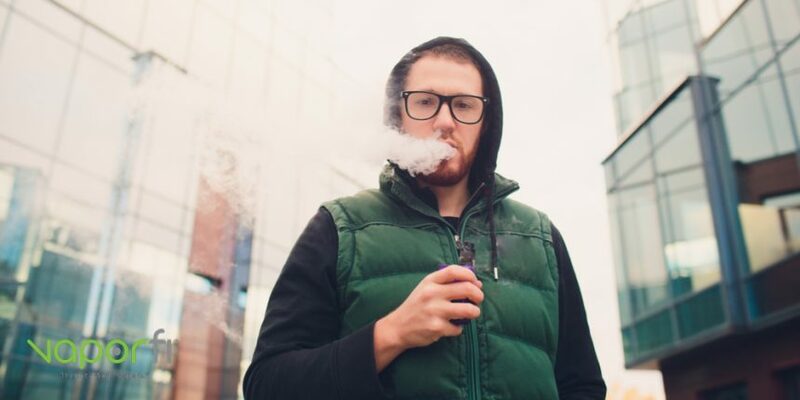 Some advanced vapers have acquired their knowledge over years of casual vape sessions, while others learned through studying online forums, reading informative blogs, and working through extensive vape how-tos. Essentially, all boils down to one important idea: any vaper can be an advanced vaper with a little time, effort, and determination. It’s not a prestigious title reserved only for the vaping elite; rather, all you need to do is learn about your vape hobby and how to use high-end devices. For some vapers, sticking with entry-level vaping is all they’re interested in – and that’s absolutely fine. Not everyone is interested in taking their vape experience to the advanced level. For some, keeping things simple is their path of choice. 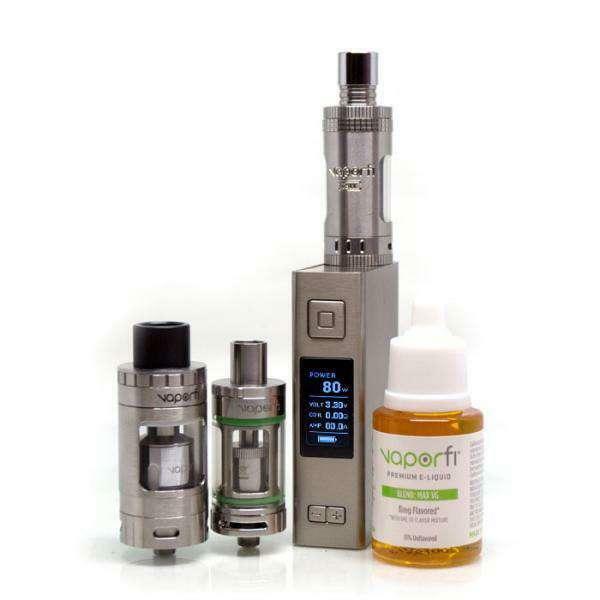 Beginner vapers often use basic devices such as e-cigs and simple pen-style vapes, which don’t involve manipulating a huge number of settings like temperature, voltage, resistance, and more. Advanced vapers may build their own devices or design their own coils, or they might just enjoy calibrating the more complex mod options on the market. 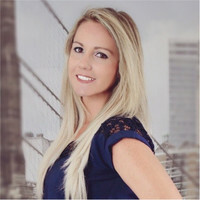 Working your way up the experience ladder doesn’t mean sacrificing safety in the name of experimentation – one thing all advanced vapers have is definite respect for safe, smart vaping. Ultimately, if you’re interested in becoming an advanced vaper, all it takes is a bit of time and willingness to learn – and a high-quality vape set-up. Here’s a handy collection of products, organized by category, so you can explore your options for upping your vape game. The Tesla Punk 220W TC Vape MOD. Looking for a mod that can help you keep your old smoking habit in check? These five advanced mods are all great options for former heavy smokers who are looking to recreate that nostalgic experience in a new and improved way. 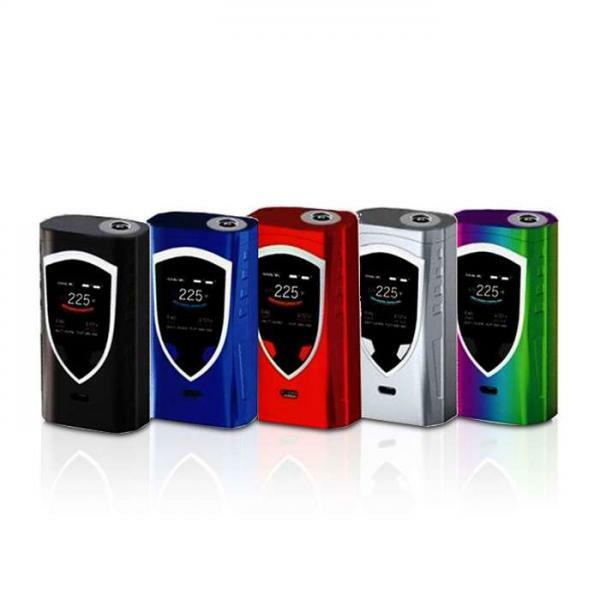 The SX Mini G Class 200W TC Box MOD. The SX Mini G Class is a tech-savvy mod that checks all the boxes in terms of power, precision, and functionality. It’s powered by the YiHi SX550J chipset, a cutting-edge system that has an array of impressive features including Bluetooth support, excellent customization through full temperature control, and intelligent Taste Curve technology. Intelligent Taste Curve uses an algorithmic configuration to make it easy to program, adjust, and store up to five output curves, putting your ideal vape experience within easy reach. The Tesla Punk 220W TC Vape MOD is nothing short of stunning, turning heads with its steampunk revolution-inspired design. It’s more than just another vape mod, it’s truly a piece of art you can hold in the palm of your hand. As it turns out, the beauty of the Tesla Punk 220W isn’t just skin deep – it’s a powerful, intelligently-designed mod that packs a serious performance punch. Enjoy up to 220 watts of variable power and an impressive length of voltage capacity, all fueled by its dual 18650 batteries. The Tesla Punk is 510 compatible, playing nicely with just about any tank you can think of. 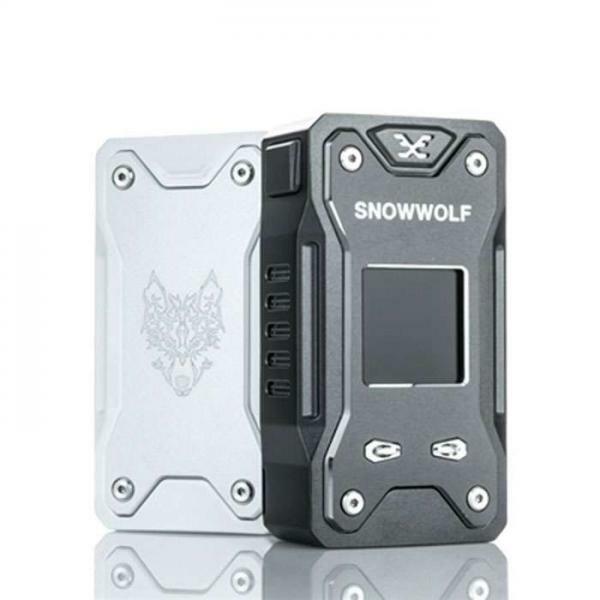 The SnowWolf X Feng High-Class Version 230W TC Vape MOD. As this mod’s name suggests, the SnowWolf X Feng High-Class Version 230W TC is an ultra-luxurious high-end mod with all the bells and whistles. It balances form and function, with a high-performing chipset wrapped up in a sophisticated, modern package. 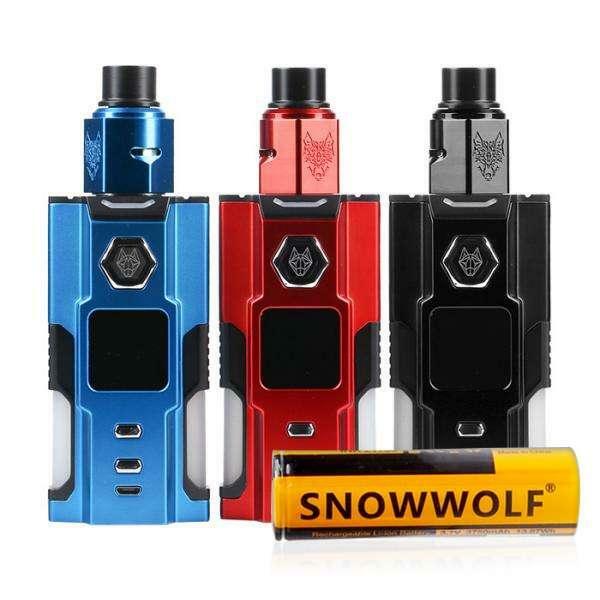 The best part of the SnowWolf X Feng High-Class Version 230W TC is its wide variety of customization options, allowing you to create a vape experience that truly speaks to you. The Sigelei TOP1 230W TC box mod almost looks like something out of the space-age, with a stylish, futuristic design that holds wide appeal. 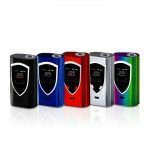 As a highly advanced mod option, it’s actually priced fairly affordably, making it a good choice for vapers interested in venturing into new vape territory on a budget. The mod is incredibly comfortable to use, from its ergonomic design to its clear 1.3” TFT display with a customizable layout. Enjoy the lightning-fast response of an 800-microsecond instant output, as well as full temperature control support, fast charging, and a user-friendly three-button interface. The SMOK ProColor 225W TC Vape MOD. Another surprisingly affordable option, the SMOK ProColor 225W TC mod is a vibrant, eye-catching device with exceptional functionality. It fires up to 225 watts of variable wattage power, offering an intuitive temperature control mode and bright OLED screen that keeps your vape sessions relaxed and hassle-free. In addition to excellent performance, the SMOK ProColor 225W also excels in adding a generous dose of fun to your vape experience. You can choose from 12 saturated color options for the body of your device, then have fun with 5 light options and 3 light-up variations. 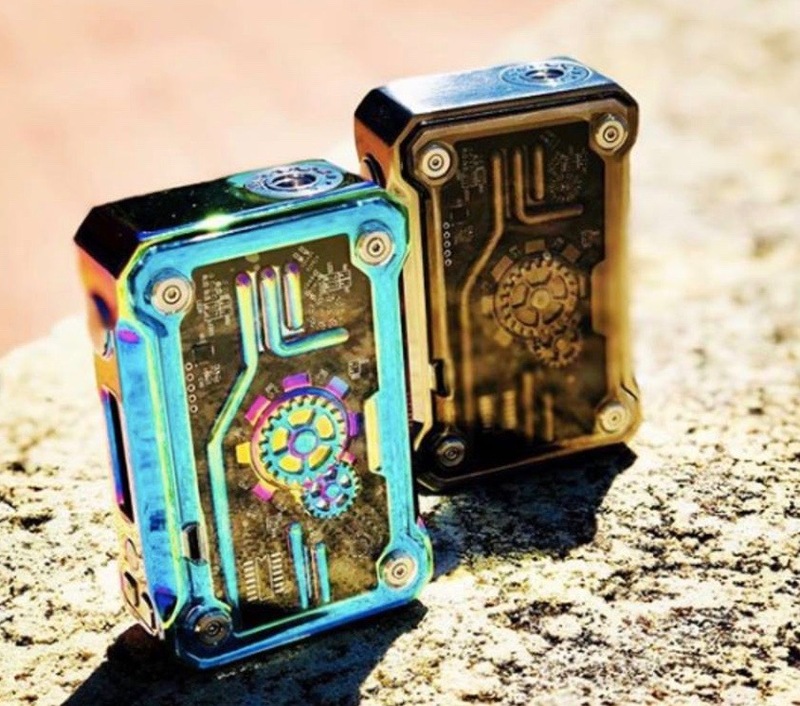 Is squonking more your style? These squonk starter kits are excellent options from the vape brands you know and love. 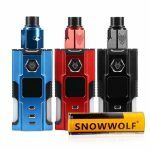 The SnowWolf VFeng BF 120W Squonk Vape Starter Kit. 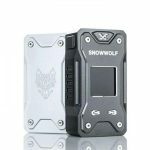 Any squonk-loving vaper will tell you that functionality is a major factor in a quality vape experience, and the SnowWolf VFeng BF 120W hits all the right notes. This mod has an innovative design that utilizes two separate squeeze squonk bottles, so you can get creative with flavor blends that funnel directly into the device – no messy mixing necessary! Plus, each bottle holds up to 3 mL of e-juice, eliminating the frustration of too-frequent refills. 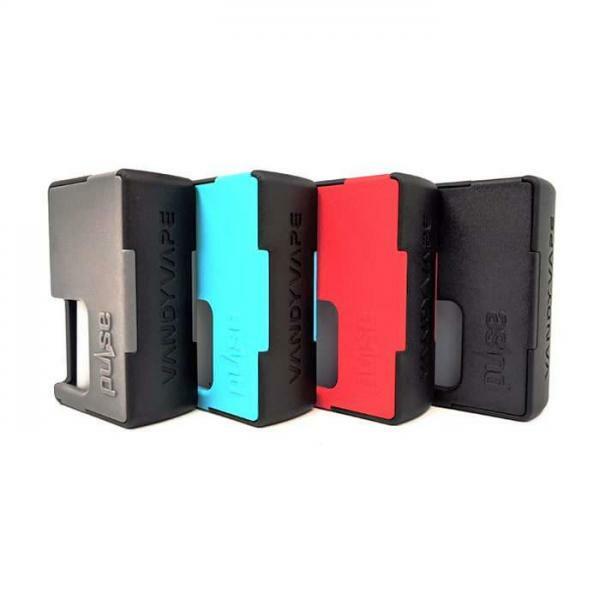 The Augvape DRUGA 22 Squonk Vape Starter Kit. 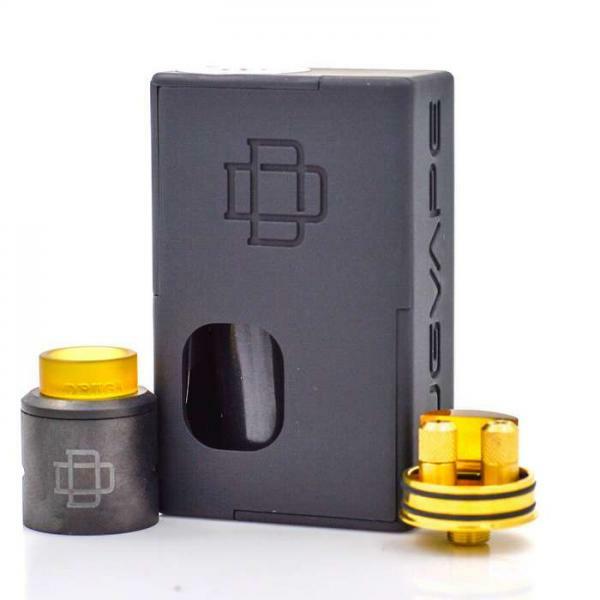 In this premium starter kit, Augvape’s DRUGA 22 Squonk Vape is a compact partner to the popular DRUGA RDA, scaling the formidable device down to a convenient 22 mm size. 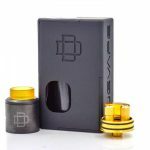 Utilizing a single 18650 battery, the DRUGA 22 provides an excellent voltage draw and a pleasantly restricted draw. The RDA acts as the perfect canvas for easy, enjoyable builds, accommodating both single and dual coil structures. 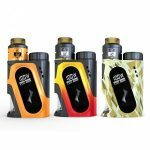 You’ll notice that the body itself feels extremely durable, due largely to the use of nylon and ABS heat-resistant thermoplastic polymer exterior, engineered to stand up to even the most demanding vape sessions. 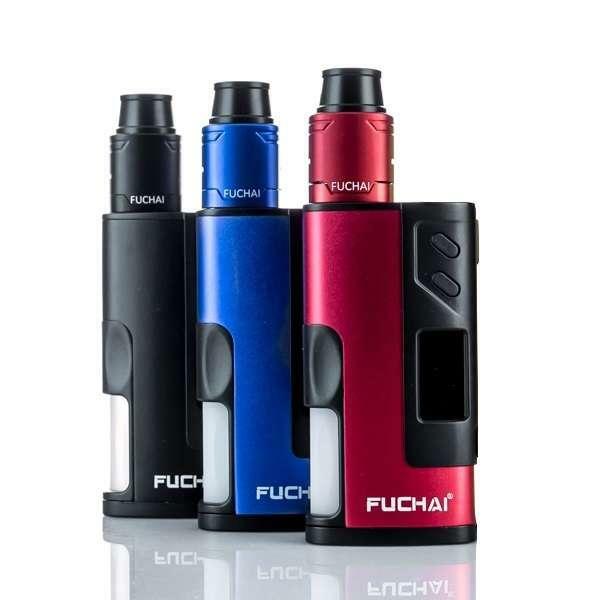 The Sigelei Fuchai Squonk 213 150W Vape Starter Kit. The Sigelei Fuchai Squonk 213 150W was designed as the ultimate squonk mod, firing up to 150 watts – the ideal range for excellent squonking. It’s another great choice for vapers who are particular about their battery type, offering compatibility with 18650, 20700, and 21700 batteries. 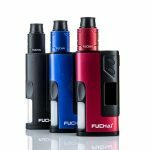 Crafted for complete comfort and extended vape sessions, the Fuchai Squonk 213 is everything you’ve ever hoped for in a convenient, user-friendly mod. The 5mL squonking bottle provides generous e-juice capacity, while a smart, interchangeable door makes it easy to access exactly what you need. 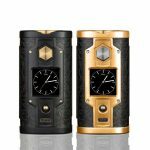 The iJoy CAPO SRDA Squonk 100W TC Vape Starter Kit w/20700 Battery. Crafted by the well-respected brand iJoy, the CAPO SRDA Squonk 100W TC Vape is a tech-savvy set-up with every imaginable feature. The CAPO mod utilizes a bottom-feeding system that maximizes performance, paired with a unique 21700/20700 platform that ensures consistent quality even at high wattage. You can combine it with either the iJoy 21700 3750 40A battery or the 20700 battery, with both types supplying steady, long-lasting power for a full day of vaping. If you’ve been a vaper for any amount of time, odds are you’re familiar with the name Tony B. 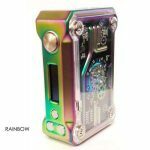 This squonk vape mod is a collaborative effort by Tony B and Vandy Vape, a creative partnership that’s resulted in a seriously impressive set-up. With the Vandy Vape Pulse BF Squonk Vape MOD by Tony B., you’ll enjoy the convenience of an 8 mL capacity quick-drip silicone squonk bottle. Partner your mod with just about any pin-ready RDA, because this mod is built with universal, spring-loaded 510 threading that offers versatile connectivity. Temperature control capabilities are the vape industry’s answer to the annoyingly dry, burnt hits that every vaper dreads. Savor the perfect flavor and smooth vapor every time with these premium TC starter kits. At the risk of sounding like we’re bragging, the VaporFi team is incredibly proud of the VaporFi VOX TC. Like all VaporFi originals, it’s designed with a focus on quality, style and performance. The VOX TC is ideal for the advanced vaper who wants a no-fuss vape experience, enjoying hassle-free operation without sacrificing on performance and options. This 50W mod features advanced temperature control for simple customization, producing flavorful, fluffy vapor clouds that are sure to please. If you were a fan of the highly popular SX Q Class, you’ll love its mini-me version, the SX Mini Q Mini 200W TC Box MOD. It has all the impeccable design specs of the original in a compact, pocket-friendly size that makes it ideal for on-the-go vaping. Temperature control can be managed in joules mode, which many vapers prefer for its precision-level capabilities. The SX Mini Q is ahead of many other mods when it comes to tech-savvy features, with a top-of-the-line chipset that provides Bluetooth compatibility and a series of flavor-focused taste modes like Eco, Powerful, Powerful+, Standard, and SXiQ-S1-S5. 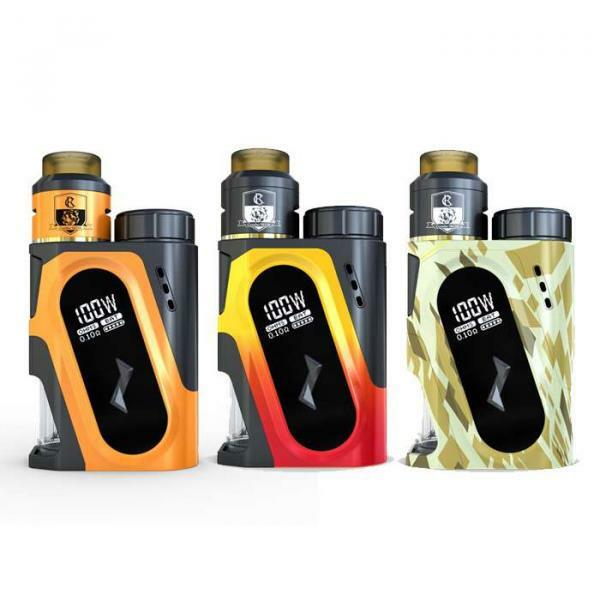 The iJoy CAPO SRDA Squonk 100W TC Vape Starter Kit. 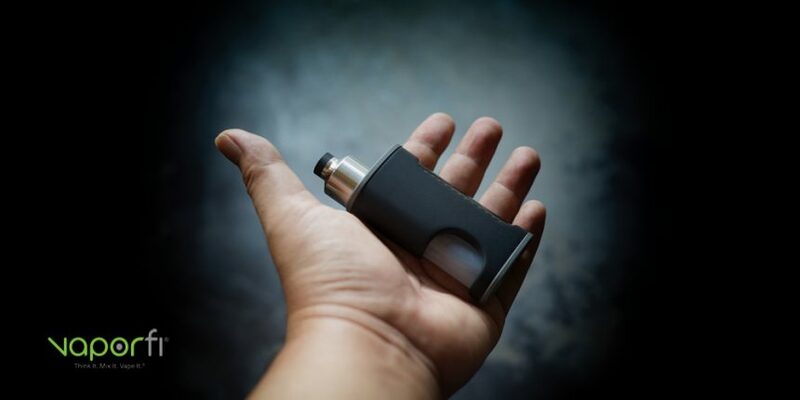 This starter kit may have already made an appearance in the squonking category of this guide, but it’s definitely earned a second mention as a top TC mod. The iJoy CAPO SRDA Squonk 100W TC mod is a premium vape set-up that has it all, offering advanced temperature control and excellent squonking performance. It goes above and beyond your typical squonk mod with the incorporation of a range of high-end features, such as a brilliant .96-inch OLED screen, short circuit protection, and a versatility that allows for a variety of coil options and build deck styles. Don’t let the pen-style appearance of the Kanger SubVod Mega TC fool you – it’s a high-powered device that’s anything but basic. The shape is designed for ultimate comfort, fitting perfectly in the palm of your hand for extended and all-day vaping. It’s fueled by a fierce 2300mAh battery and the Kanger TopTank Mini, which come together to provide an epic vape experience. Its temperature control abilities are easy to use and intuitively engineered, working well with other smart features like the adjustable airflow control and versatile coil compatibility. 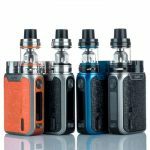 The Vaporesso Swag 80W TC Vape Starter Kit. The aptly-named Swag 80W TC Starter Kit by Vaporesso is an exceptional pairing of the Swag Box MOD and the NRG SE Sub-Ohm Tank. These two powerhouse pieces work in perfect harmony to provide a high-performance experience beyond your wildest vape dreams, with plenty of credit due to the impressive OMNI 2.0 Board chipset. The temperature control functions allow for precision-level control, and several different mods offer a range of options to suit your personal vape style. Coils and atomizers are an integral part of every vape setup – choose the right ones and you’ll have the power to achieve new levels of vape nirvana. 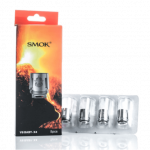 SMOK is known for their premium-quality coils, and the TFV8 Baby Beast are among their most popular. The TFV8 Baby Beast maximize both flavor and vapor production, so you’ll be able to consistently enjoy massive, supremely delicious clouds. 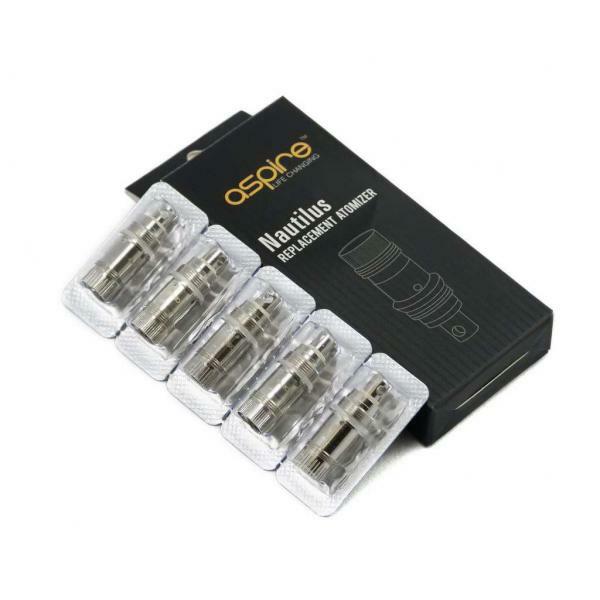 This five-pack of coils is specifically crafted for settings between 70 and 90 watts, with each coil clocking in at 0.20 ohms resistance. The organic cotton keeps your e-juice flavor wonderfully pure, so you can enjoy every tasty cloud as it was intended. 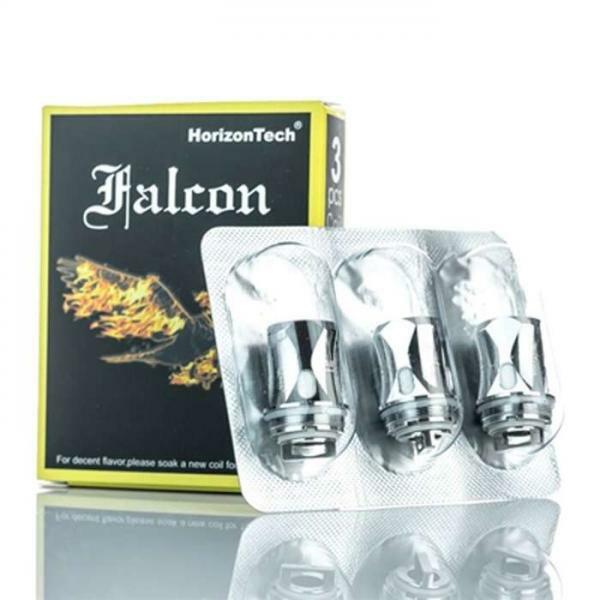 If you’ve been enjoying the advanced performance of Horizon’s Falcon tank, then you already know about the impeccable quality and design of the Falcon’s replacement coils. This three-pack of coils ensures you’ll be well-stocked for vape sessions that reach a new level of flavor. 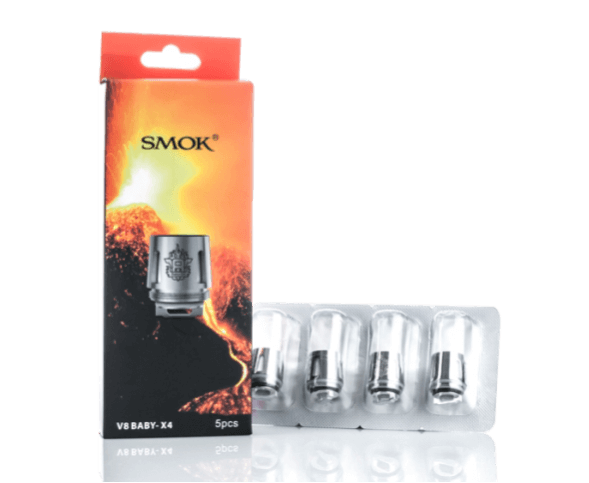 This variety pack comes in six different coil types, each of which utilizes different premium materials for a highly tailored experience. Depending on your vape style, choose from the F1, F2, F3, M1, or M2 coils, or splurge a few extra dollars and snag the M-Triple Mesh Coil set. 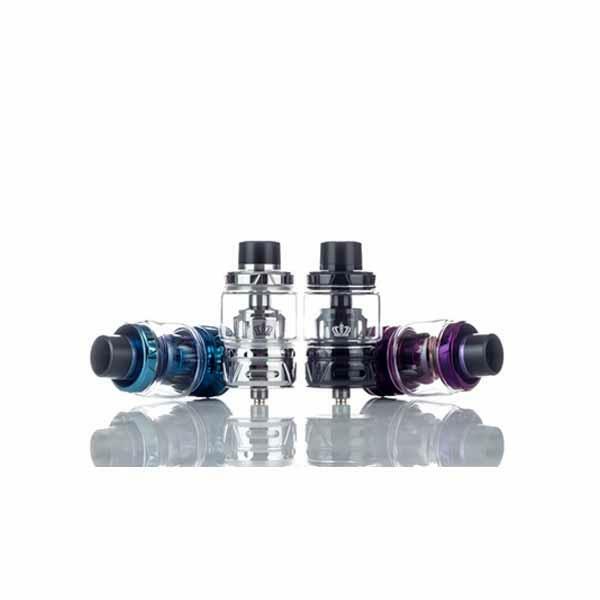 With the Aspire NAUTILUS BVC Coils, your Aspire Nautilus or Nautilus Mini tank will have the high-performance power you need to enjoy massive clouds of flavor perfection. This pack contains five of the premium coils, designed with a single Kanthal coil structure built vertically to maximize flavor and vapor production. The coils come in at 1.8-ohm resistance and are made with organic cotton, so you won’t have to worry about any flavor contamination throwing off your e-juice game. These Joyetech AIO BF Coils come in a convenient five-pack, so you’ll never be short on coils when you’re ready to fire up your vape. Joyetech specifically engineered these coils to work with a full variety of their premium mods, including the eGo AIO, Cuboid Mini, and Cubis. Advanced vapers will find that one of the biggest benefits of these high-end coils is their ability to fire in a range of vape modes, such as variable wattage, variable temperature, TCR, and temp SS. 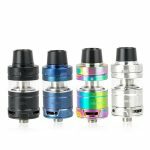 SMOK TFV12 Prince Replacement Coils. 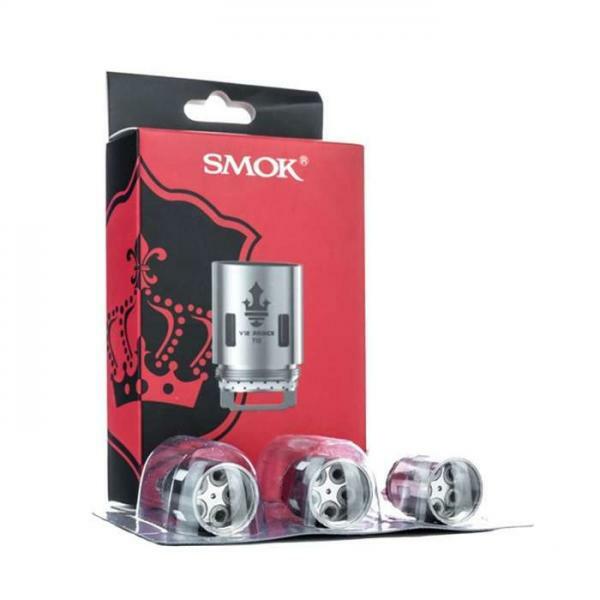 SMOK’s TFV12 Prince Coils are among the latest successors in a line of high-performing coils, following closely in the well-respected path of the TFV8. 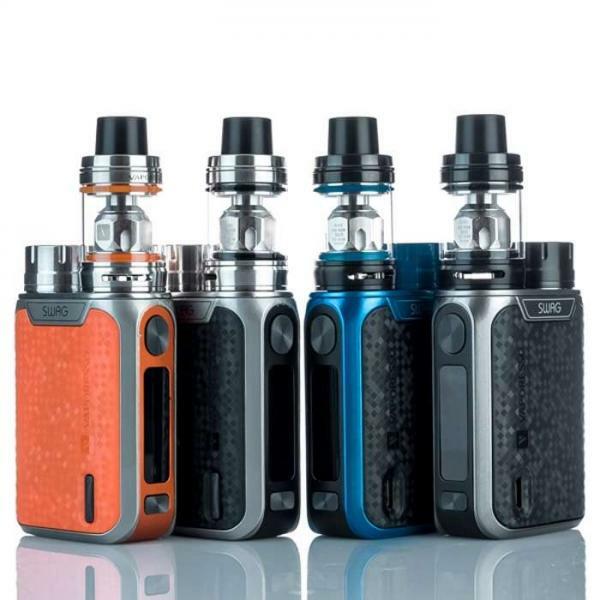 Depending on the output of your SMOK device, you can select one of four different variations: the T10 decuple coils, the Q4 quadruple coils, the X6 sextuple coils, or the M4 quadruple coils. Each coil style is designed to provide unparalleled flavor quality and vapor production at its recommended wattage range. Much like quality coils, a good tank is a non-negotiable if you’re hoping to experience a truly excellent vape. Here are five high-end options that are perfect for the advanced vaper. 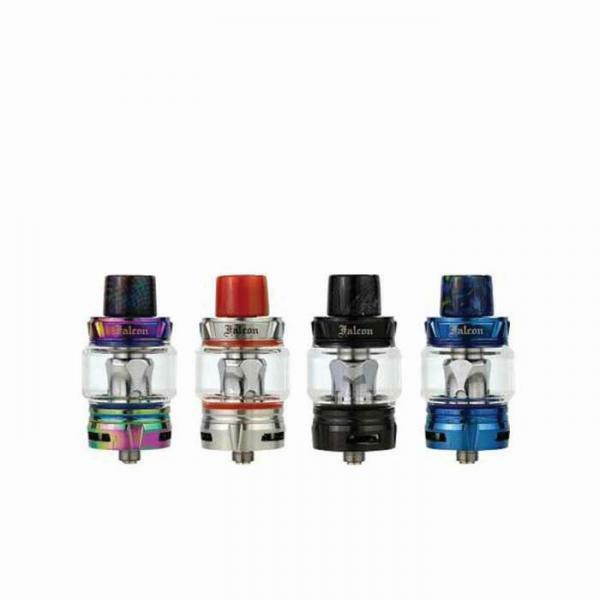 VaporFi Pro 3 Vape Tanks in Colors. The VaporFi Pro 3 is not just one of our top-rated tanks, it’s one of our customers’ favorite vape products across the board. It’s designed to deliver an exquisite mouth to lung (MTL) experience, using its high-resistance 2.0ohm atomizer to capitalize on flavor and vapor potential. The top-fill tank design minimizes frustrating spills, as does the No-Spill Coil Swap System that makes smart use of a slotted coil installment system. 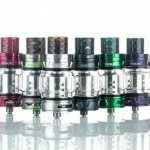 Smok TFV12 Prince Sub Ohm Vape Tank. 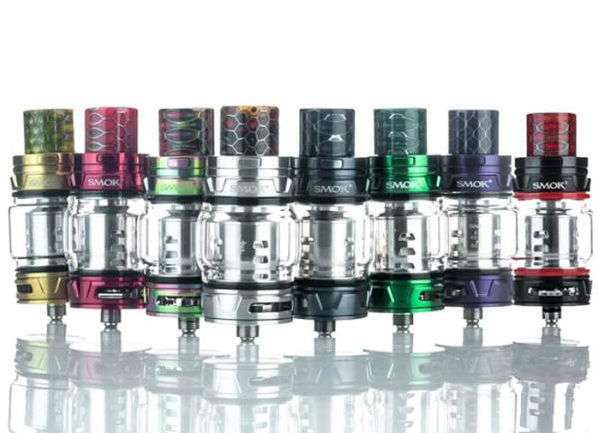 The SMOK TFV12 Prince Sub-Ohm Tank commands a certain level of respect thanks to the SMOK name, and it definitely follows through on every expectation. 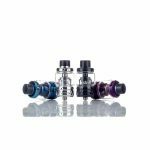 It offers nearly every tank feature in the book, including 120 watts of maximum output and vibrant, artistically-inspired drip tips in a full range of colorways. 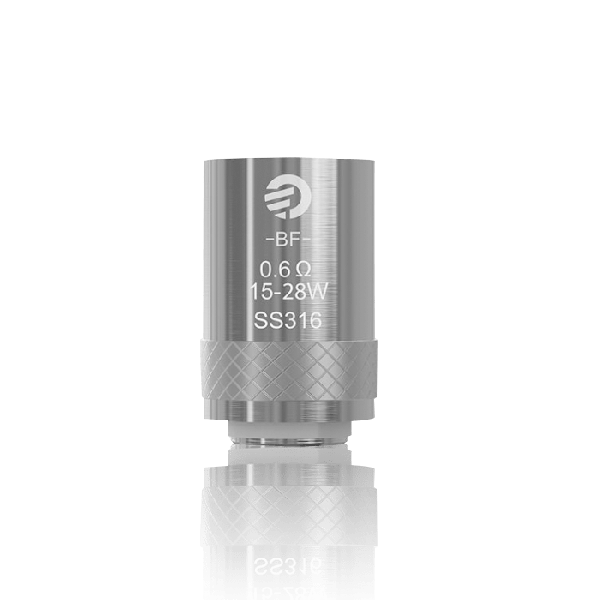 Despite its relatively compact size, the TFV12 Prince has an e-juice capacity that’s worth noting – 5mL with its standard tank section or a jaw-dropping 8mL convex glass capacity. The Vaporesso Cascade Baby SE Sub Ohm Vape Tank. The Vaporesso Cascade Baby SE Sub-Ohm Tank is a new and improved take on the brand’s high-quality Cascade Baby, bumping up the e-juice capacity and stylish colors. You’ll have the benefit of all the original Cascade Baby features plus a slew of new ones, such as the lockable top-fill system, high-functioning triangular bottom adjustable airflow ports, 6 mL of e-juice capacity, and a sleek, attractive design. One of the highlights of this tank is its liquid separation system, which helps ensure optimal coil saturation. The Horizon Falcon Sub Ohm Vape Tank. 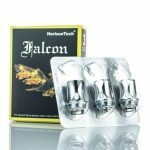 The Falcon Sub-Ohm Tank is a premium tank from Horizon Falcon, ideal for the sub-ohm vaper who wants the ultimate in high-end performance. The threaded top-filling tank has a coil system that utilizes four impeccably-constructed coils, as well as bottom airflow that circulates through fully-adjustable 14 mm x 3 mm slots. You’ll have plenty of vape time between refills thanks to a generous 5 mL e-liquid capacity, a simple design element that has a major impact on the quality of your experience. 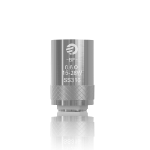 The Uwell Crown 4 Sub Ohm Vape Tank. The Crown 4 is the next successor in the legendary line of Uwell’s Crown series, featuring a full line-up of quality design elements to boost your vape experience. 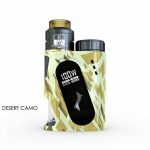 The designers went back to the drawing board to redesign the Crown 4’s innovative base, which recycles excess e-liquid instead of letting it leak out of the air holes. In addition, this tank had the honor of having a brand-new series of coils specifically crafted for optimal function, with impressive features like high-grade materials and a smart internal structure that maximizes flavor while decreasing leaking. Want to make the most of your vape budget and get great value for your dollar? 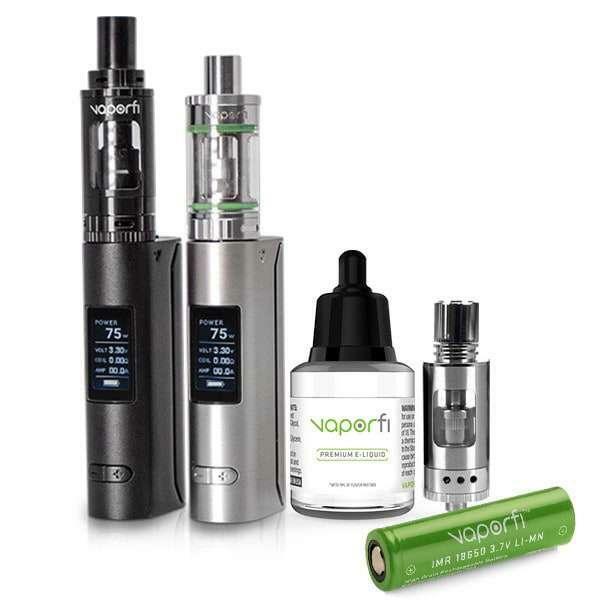 Check out our top starter kit bundles for advanced vapers to score a seriously sweet deal. The VaporFi VAIO™ 75 TC Starter Kit Bundle. The VaporFi VAIO 75 TC MOD is a versatile device that performs equally well for mouth-to-lung (MTL) and direct-to-lung (DTL) vapers. You can customize your vape using both temperature control and variable wattage atomizers, making for a diverse range of quality vape experiences. A major strength of this set-up is the VAIO’s internal tank, which performs exceedingly well while keeping the overall operation pleasantly simple. 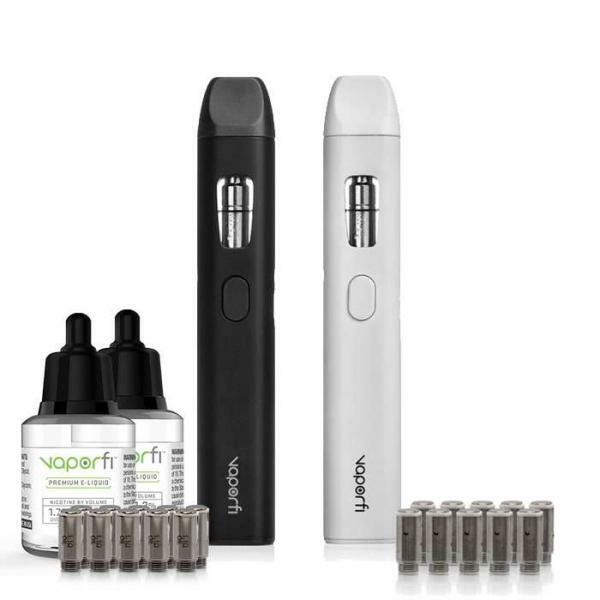 Rounding out this vape bundle is an 18650 battery, the VaporFi VAIO 75 tank connection, a five-pack of stainless steel VAIO atomizers, and your very own custom-blended e-liquid. 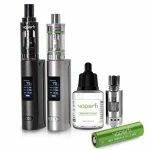 The VaporFi VOX® 80 TC Starter Kit Bundle. The VaporFi VOX 80 TC bundle is packed with serious performance potential and power, centering around a sleek and stylish mod that fires up to 80 watts. You can choose between temperature control and variable wattage atomizers, and the built-in 4000mAh battery exceeds expectations for consistent performance and battery life. When you get this bundle, you’ll be able to choose between three of our top sub-ohm tanks: the VSix, the Volt 2, or the Vulk. Also included in the bundle is a generously-sized 30 mL bottle of custom-mixed e-liquid. The Rocket 3 Vaporizer Starter Kit Bundle. If you’ve been striving for perfectly pure flavor, the VaporFi Rocket 3 is your perfect vape match. It’s designed with high-tech coil sensing technology, which makes it easy to move between temperature control and variable wattage atomizers. This mod pairs up with the Rocket 3 atomizers, constructed with the durability to stand up to high wattage and high temperatures – ideal for the high-demand vaper. Choose between Kanthal and NI200 and enjoy excellent coil longevity and consistent performance. 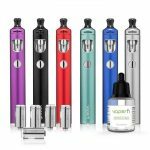 The VaporFi V-Grip 75 TC Starter Kit Bundle. 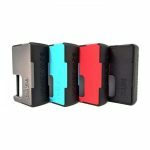 Joining the ranks of VaporFi’s removable battery vape mods, the VaporFi V-Grip 75 TC is an excellent everyday vape that’s comfortable, user-friendly, and full of thoughtful features. Design choices like a lateral fire bar and intuitive interface keep your vape sessions relaxing and hassle-free, all managed on a sleek OLED screen that’s easy to navigate. You’ll have access to great features and mods such as stealth mode, complete TCR functionality, and temperature lock, so you can calibrate your ideal vape session with ease. Ready to be able to vape anytime, anywhere? 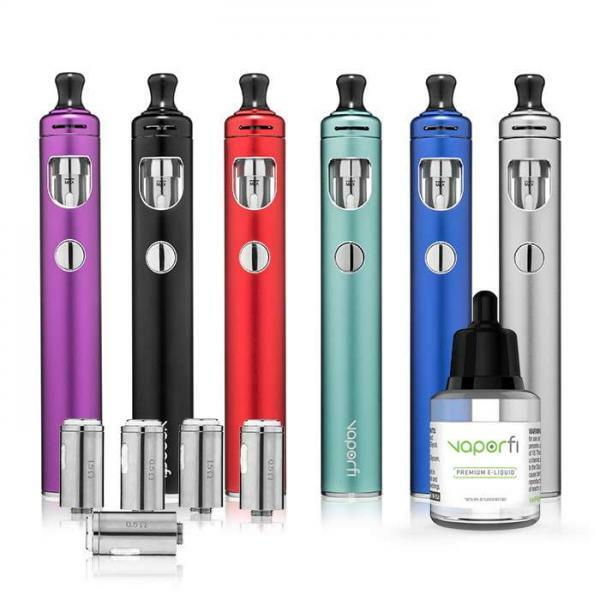 The VaporFI VAIO GO is the ideal on-the-go set-up, from its compact size to user-friendly design. 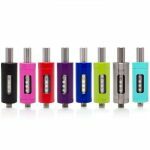 Select from six vibrant color options, then pair the sleek mod with one of two atomizer resistance options, each one designed specifically for direct-to-lung or mouth-to-lung vaping. The VAIO GO has a 2000mAh battery that’s more than capable of producing the fluffy, voluminous clouds you’ve always wanted, while the custom blend e-juice included in the bundle will deliver on pure, unadulterated flavor. Others might call you picky, but you know you’re just specific about what you want in a vape – we totally get it. That’s why we have a selection of bundles and tools that make it easy to custom-design your perfect vape down to the last detail. 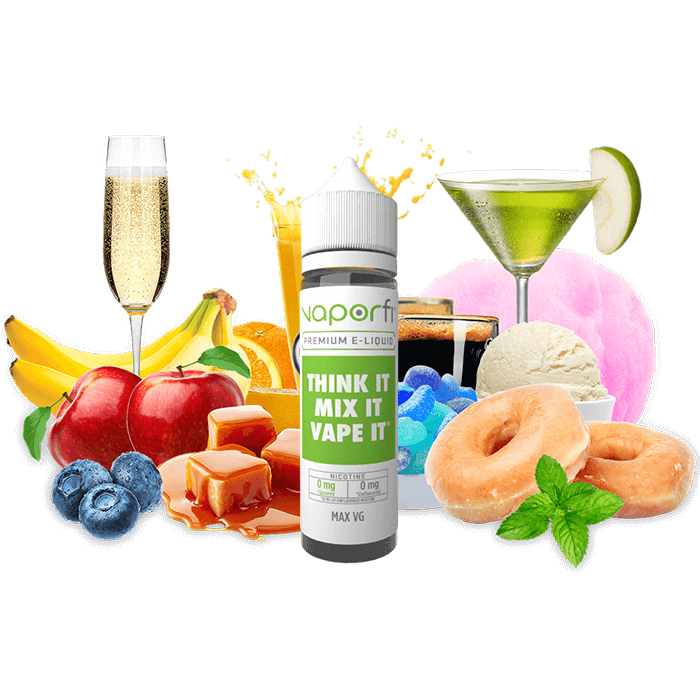 The VaporFi Air 2 Multi-Use Mini Vaporizer is a compact, super versatile device that comes ready to be paired with the e-liquid or oil of your choice. Its slim design is designed with former cigarette smokers in mind, offering an authentic experience without the tar, ash, and smoke. It’s simple yet high-performing, with a hassle-free operation that will satisfy beginners and vaping veterans alike. This bundle has plenty of customization potential, with options to choose everything from the color of your device to e-juice and atomizer style. 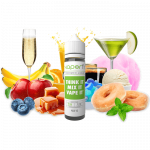 The VaporFi Air 2 For Two Mini Vaporizer Bundle. As impressive as the VaporFi Air may be, two are twice as nice. With this great value bundle, you can score two of the premium mini vaporizers, which sets you up to give someone the perfect gift. 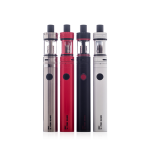 This double bundle is ideal for couples, family members, or friends who are looking to kick their smoking habit and transition to vaping together. The ability to use both e-juice and oils with easy-to-change atomizer styles makes the Air 2 one of the most versatile vaporizer options on the market. Our Custom Vaporizer Builder is a VaporFi customer favorite because it makes designing your vape set-up ridiculously easy. With just a few clicks, you’ll be able to choose every element of your vape, customizing it to fit your style and preferences. 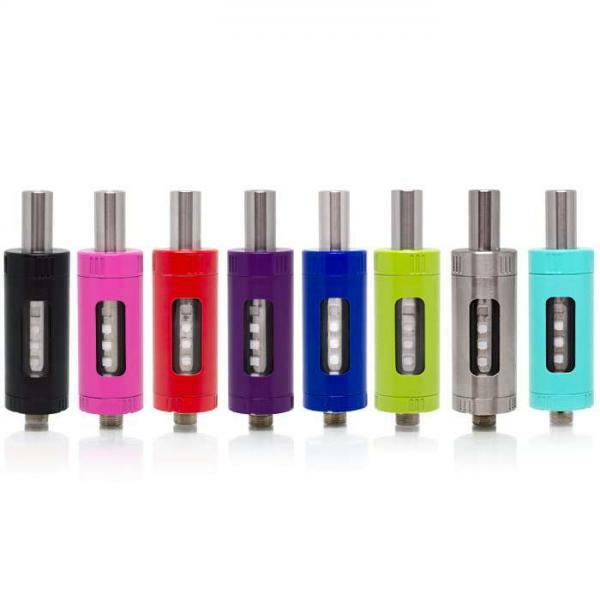 First, decide between a pen-style vape or a mod, then choose your tank from the VaporFi collection. Add on optional must-haves like atomizers, a charging adapter, and drip tips, and you’ll be totally set up with everything you need to start vaping. DIY Vape Juice – Make Your Own Blend. Once you have the perfect vape set-up, you’ll need the right e-juice to make the most of your experience. VaporFi e-liquids go above and beyond the industry standard, using top-rated ingredients, premium nicotine, and FDA-registered formulas. We’ve earned a reputation for the best flavor in the business, and we take our blends very seriously. With our Custom Juice Blend tool, you can get creative and make your very own flavor blend. 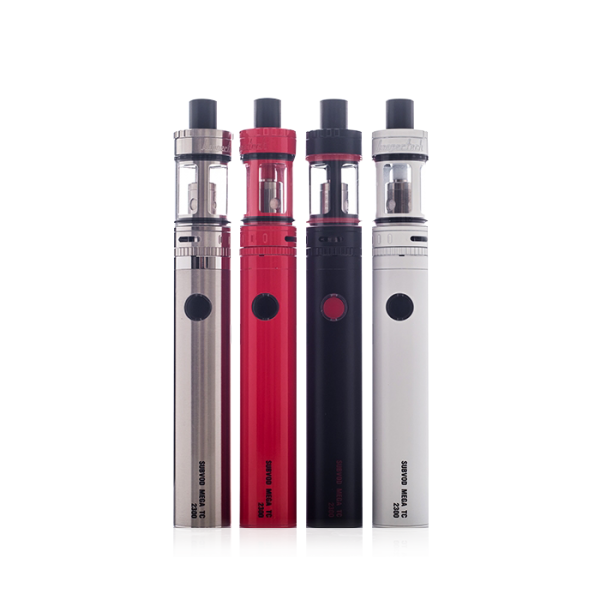 You’ll also be able to adjust the flavor strength, VG/PG ratio, and nicotine level to your ideal specifications. Every experienced vaper knows that the quality of your vape device and products is the biggest determination of your vape experience – choose some cheap and poorly-made products, and odds are you’ll be disappointed with the outcome. 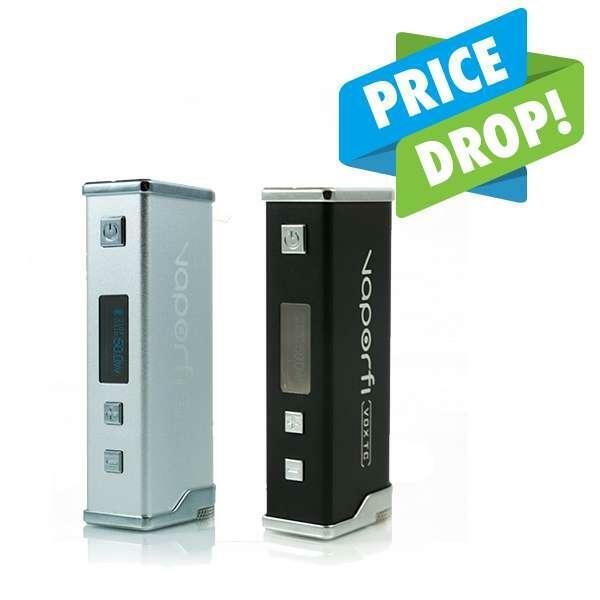 Luckily, VaporFi has plenty of high-quality vape options at every price point, so you can score your perfect vape setup without blowing your budget. From advanced vape products to ones that are perfect for vape newbies, our virtual shelves are packed with premium items from the vape brands you know, love, and respect. When you shop with VaporFi, you’ll enjoy more than just access to top-notch vape products. We’re also dedicated to providing our customers with the ultimate shopping experience from start to finish. You’ll get everyday free shipping, 30-day money back guarantee, and great benefits like our loyalty program and auto-delivery discounts. 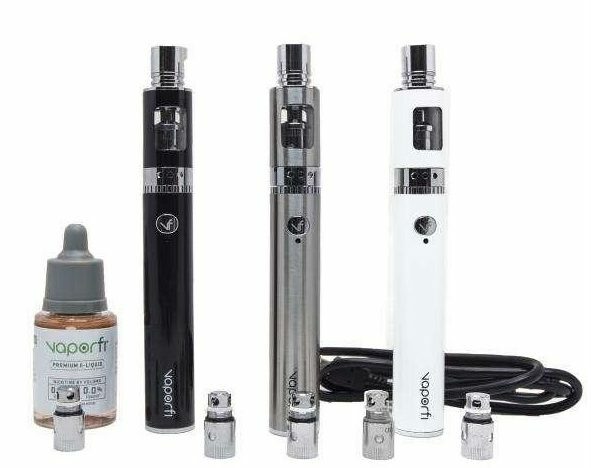 Whether you’re shopping for a vape upgrade for yourself or looking to get someone else started in the world of vaping, you’ll find everything you need right here at VaporFi. 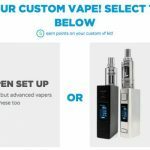 Build Your Vaporizer – Custom is our Thang!